A new study, conducted by researchers from Tufts University and published in the scientific journal Nutrients, reports that eating a few pecans daily for a month improved some markers of cardio-metabolic disease risk, and insulin sensitivity, in a group of obese adults having excess abdominal fat. While previous studies on pecans concentrated on blood lipid changes, this is the first research to examine those markers associated with cardio-metabolic health. Cardio-metabolic risk is relatively a new term used to describe the possibilities of developing cardiovascular and sundry metabolic diseases, as well as type-2 diabetes and also metabolic syndrome. These conditions are collectively responsible for more preventable deaths worldwide than anything else. This research also assessed how pecan consumption affects other markers of cardio-metabolic disease risk, which include insulin resistance, insulin levels, glucose, and beta cell function. This is a measure of the pancreas' ability to not only produce but also secrete insulin and help control the blood sugar level. Pecans are naturally rich in unsaturated fats, and replacing a part of the saturated fats in diets with more beneficial fats might have contributed to observed changes, says Dr. Diane L. McKay, the lead researcher. She also noted that bioactive compounds could have played an active role. She further explained that obesity and insulin resistance might increase both insulin demand and pancreatic beta cells hyper-function which could eventually lead to dysfunction. She revealed that the study results suggested pecan nutrients might play a key role in boosting normal insulin responses in overweight, obese adults even if the mechanisms of action were yet to be known. It should be mentioned that apart from mono-unsaturated and polyunsaturated fats, pecans also have fiber and essential minerals, and contain bioactive compounds like flavonoids and plant sterols, which may contribute. The research group compared the impact of a pecan-rich diet to that of a control pecan-free diet containing the same amount of calories, fats, and fiber. The control diet was like an average American diet high in calories, nutrient-poor, and low in fiber, fruits, vegetables, and Omega-3 fatty acids. All meals, including the pecans, were provided to participants. A crossover, double-blind study design was employed for the intervention. For four weeks, participants observed either the pecan-rich diet or the pecan-free control diet. A two-week washout period was taken prior to switching over the groups to the opposite diet for another four weeks. Evaluations were done both at the start and the end of each four-week feeding period. Overall findings showed the participants on a pecan-rich diet had greater reductions in insulin resistance, serum insulin and pancreatic bell cell hyper-function, in comparison with the control diet. The magnitude of reduction in LDL and total cholesterol for the pecan-rich diet was not significant when compared with the pecan-free diet. Other markers of cardio-metabolic disease risk - such as blood pressure and serum glucose - had greater reductions among subjects on the pecan diet than those on the control diet, though the results were not of statistical significance. The researchers concurrently assessed five clinically important markers of cardio-metabolic risk, and found that the pecan diet had a significant effect on insulin-related markers associated with the risk. Subgroup differences, denoted by gender and also glucose levels, modified these effects of the pecan-rich diet. The study was limited by size and duration. Further research is needed to investigate the effects of bioactive compounds found in pecans and also their potential action mechanisms. 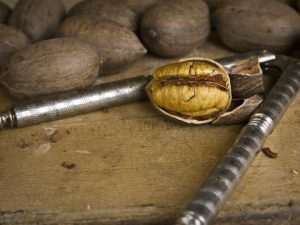 McKay concluded that the study shows how making small changes, such as displacing saturated fats in American diets and eating some pecans daily, could make a significance difference in health.